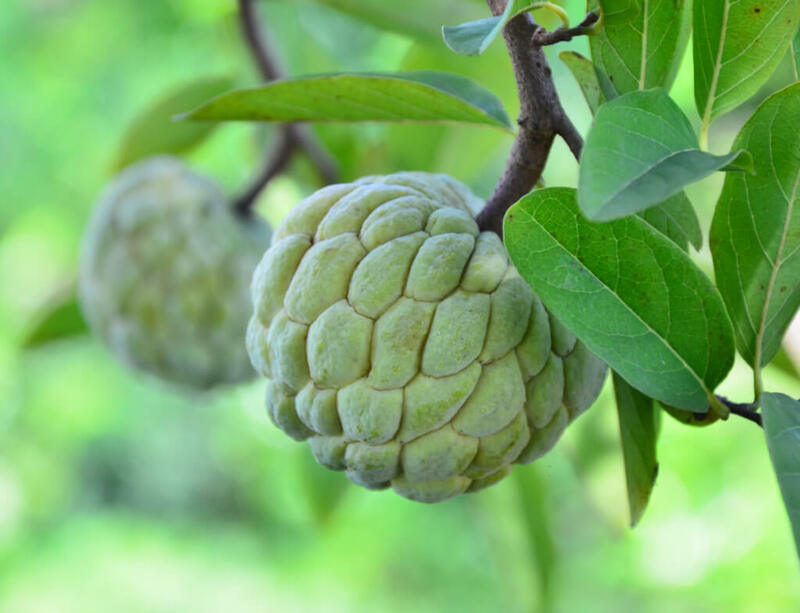 The sugar apple is the most widely grown species of annona and is closely related to the cherimoya. The conical to spherical shaped fruit has knobby skin that is pale to blue green in color. The flesh is fragrant and sweet, creamy white to light yellow and tastes like sugary sweet custard. The flesh is segmented when ripe with each segment containing a small black inedible seed that separates easily from the fruit. The trees begin to fruit at just one to two years of age, and they can easily be maintained at eight to ten feet. Trees are hardy to 25-30F.